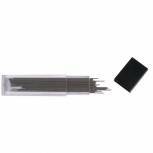 Q-Connect Replacement Pencil Lead Medium 0.7mm (Pack of 144) KF01548 Pack of 12 Q-Connect Pencil Leads. High polymer HB refill leads suitable for use in all mechanical pencils. 0.7mm. Q-Connect Replacement Pencil Lead Fine 0.5mm (Pack of 144) KF01547 Pack of 12 Q-Connect Pencil Leads. High polymer HB refill leads suitable for use in all mechanical pencils. 0.5mm. 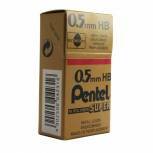 Pentel 0.5mm HB Mechanical Pencil Lead (Pack of 144) C505-HB Pack of 12 Pentel Refill Leads. Extra strong, hard wearing, dense, hi-polymer leads, suitable for use on all paper, tracing and drafting media. 0.5mm. Grade - HB. Packed 12 tubes of 12 leads. 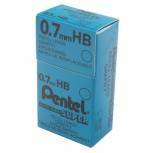 Pentel 0.7mm HB Mechanical Pencil Lead (Pack of 144) 50-HB Pack of 12 Pentel Leads 0. 7mm Tube12 HB 50-HB Erasers come in a convenient tube of 4. Leads suitable for all refillable mechanical pencils. 0. 7mm - 12 graphites per tube. 0. 9mm - 15 graphites per tube.